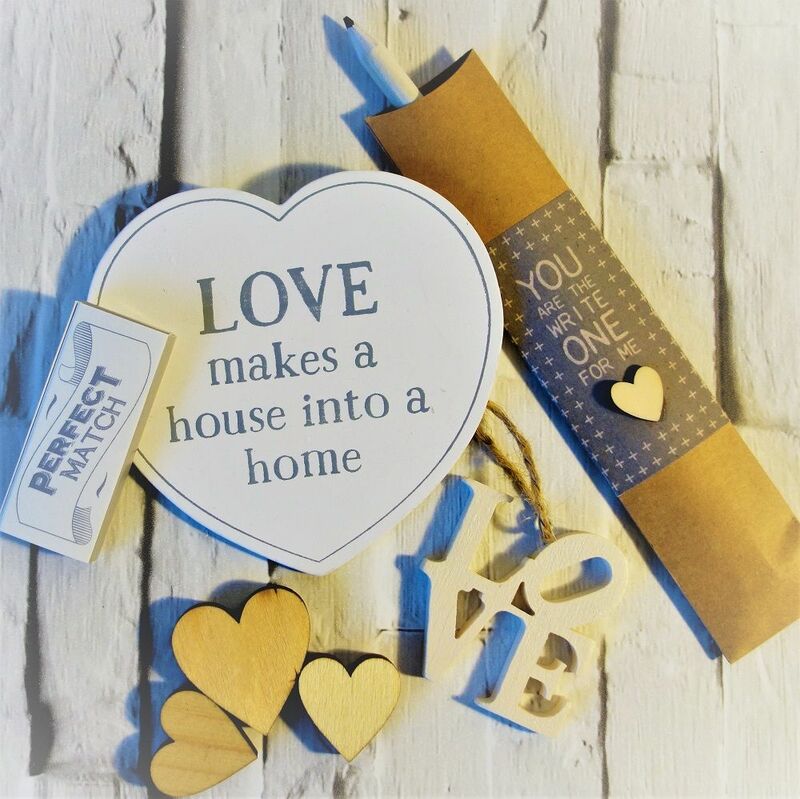 These gorgeous little boxes full of love are the perfect Valentine Gift (even send it anonymous if you like we'll whip the invoice out too! 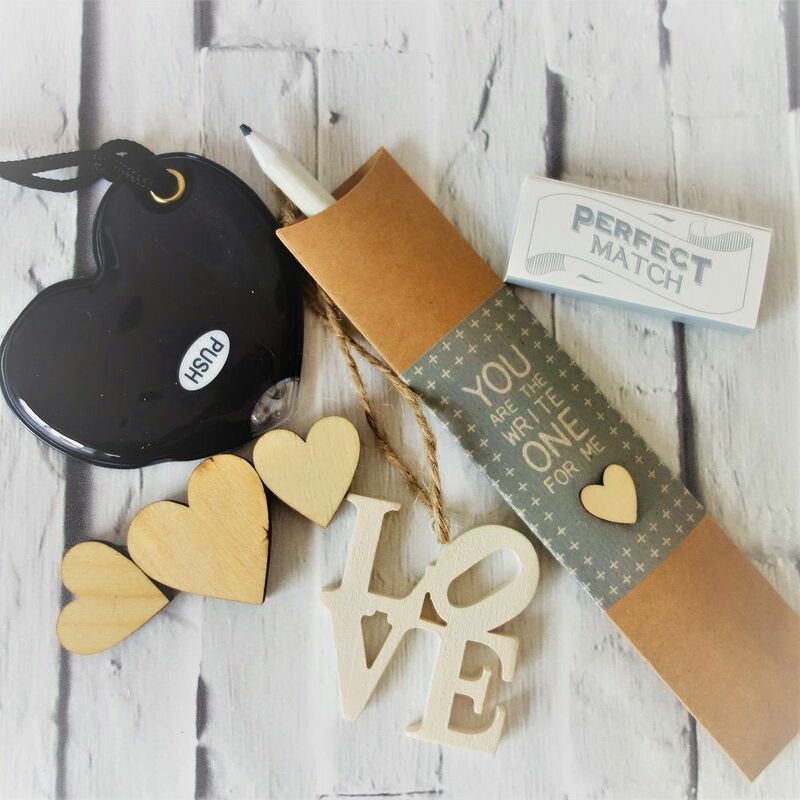 The standard box at just £7.95 and has a beautiful pencil in a brown paper sleeve with you are the Write one for me on it! 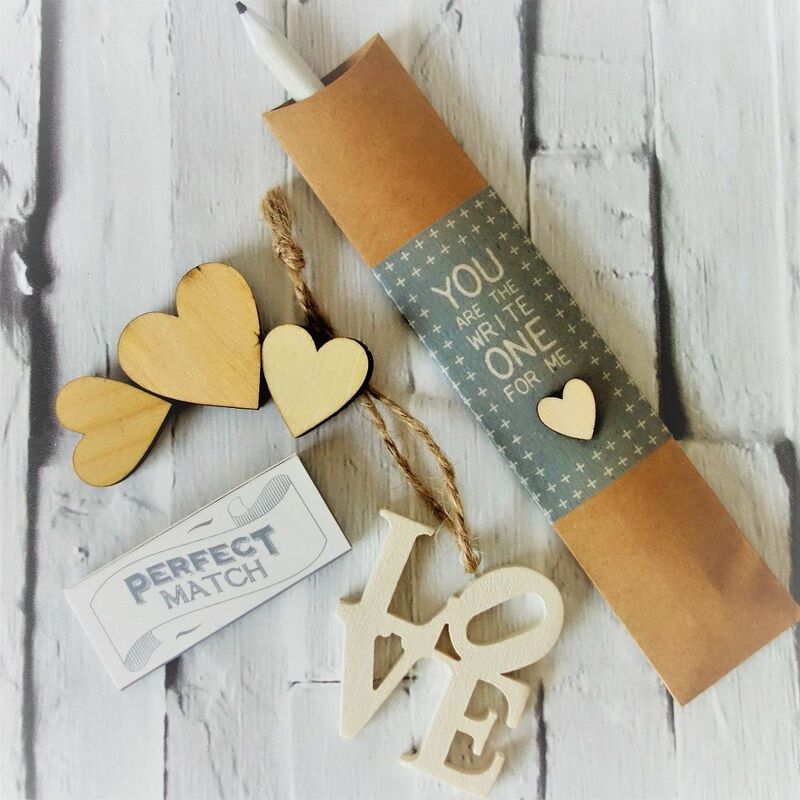 Scattering wooden hearts a hanging LOVE sign and box of matches with Perfect Match on the box! 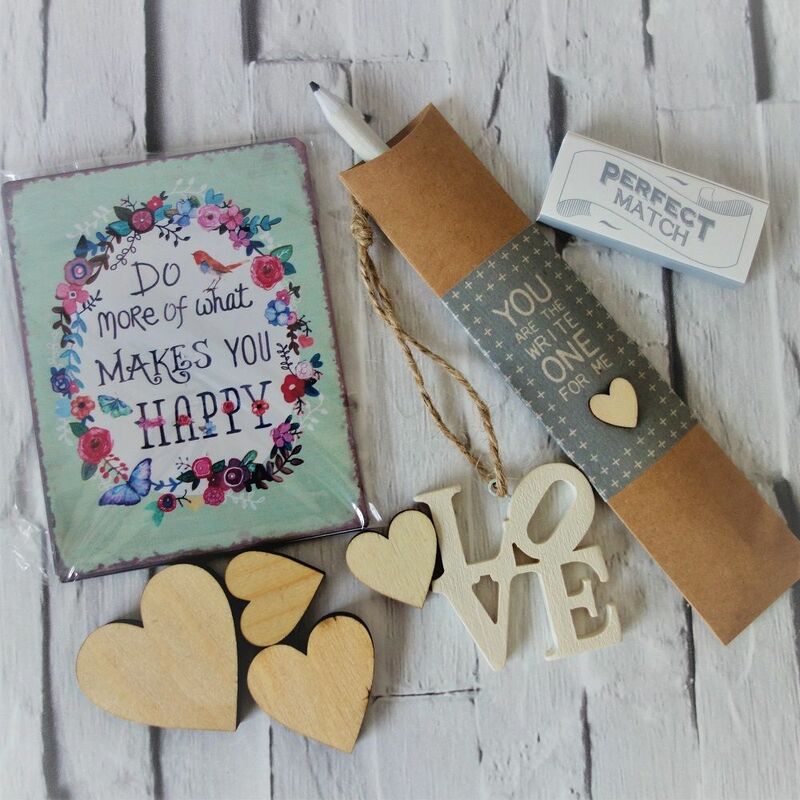 or for an extra £3.00 a vintage metal magnet with 'Do more of what makes you happy' written on it!